Nobody had to teach Rihanna how to have a good time. 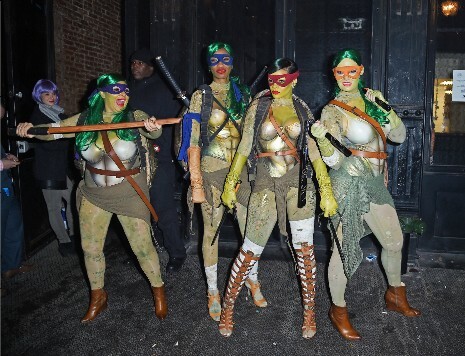 She and a group of girlfriends painted themselves green and had fun dressing up together as Ninja Turtles for a night of Halloween partying in New York . The girl posse made a big impression when they hit all the hot parties and clubs. Presumably they stopped for pizza on the way home. We wonder if one of them was a bodyguard.